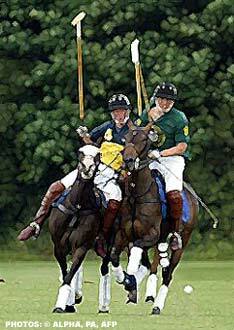 Polo has long been regarded as the exclusive domain of the extremely wealthy. These days, however, increasing numbers of people are deciding to test their mettle with a mallet and mount. And, with Princes William and Harry having obviously inherited their father's passion for the polo field, the press is also taking an increased interest in the game. In this special report, hellomagazine.com takes an in-depth look at this exciting sport.